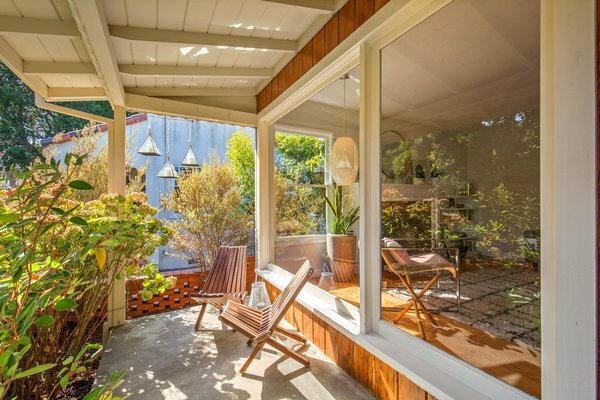 With authentic midcentury details, a sunny personality, and even a backyard cabana, this Oakland abode has a lot to offer. 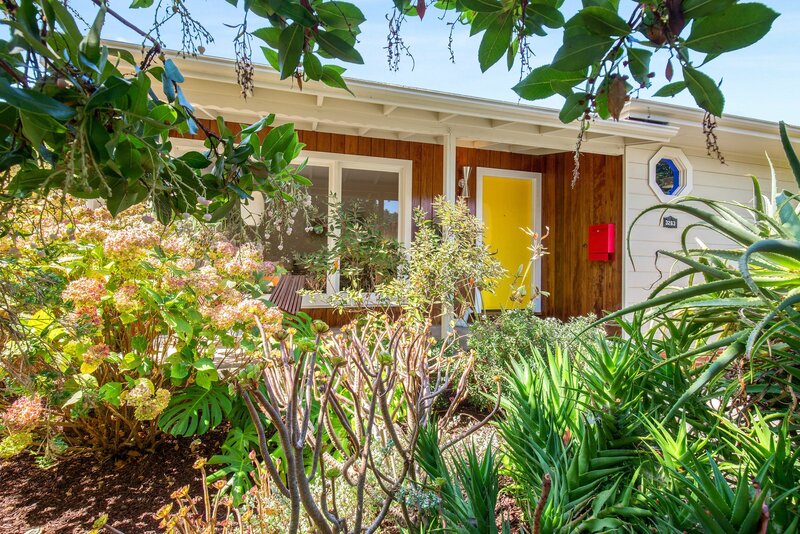 Located in up-and-coming Laurel District of Oakland, California, this two-bedroom, one-bath home was originally built in 1952. 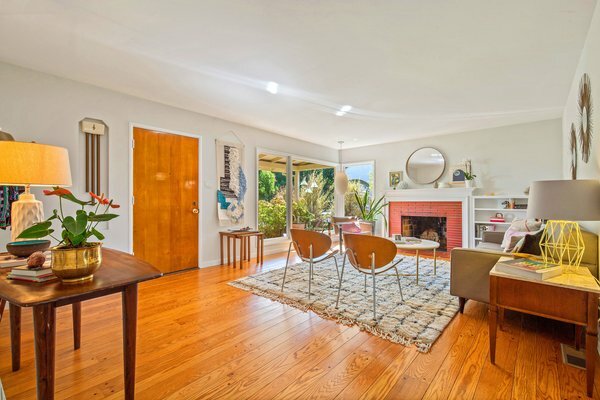 The midcentury home maintains character-defining details—including door hardware, millwork, tile, and even some appliances—but has been updated and carefully renovated to bring it up to speed with modern-day needs. The front porch has just enough space for a seating area. The large, open living room has oversized windows looking out onto the front porch. A cheery yellow door and wood paneling on the front porch give way to a large, open living room with a brick fireplace. Directly off the living room is the kitchen, which still features the original tile, ’50s cabinets, and a Wedgewood oven, but has otherwise been completely updated. The mix of original and new gives the home a tangible personality. 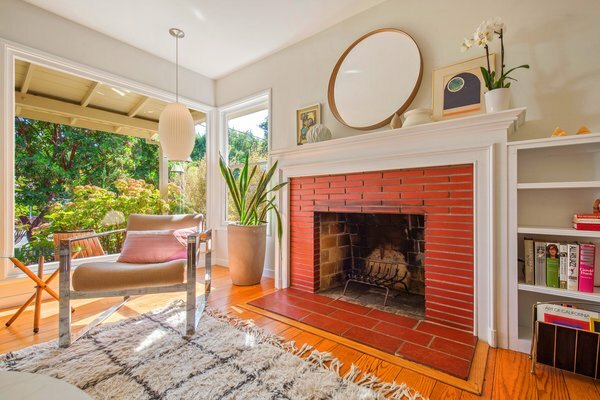 The living room also features a brick fireplace.